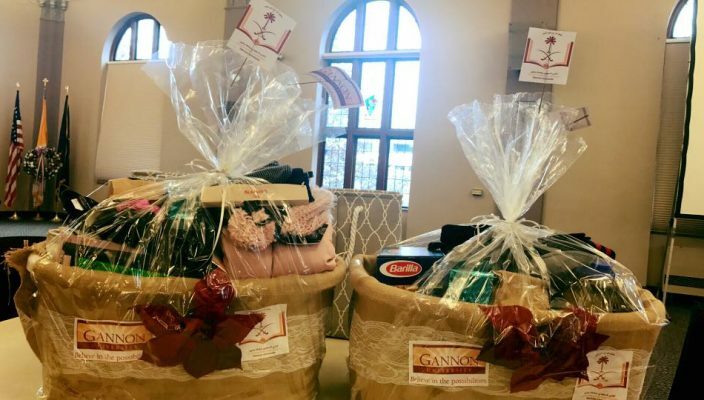 Gannon University’s Center for Social Concerns is hosting the annual Baskets of Blessings project, with a few notable differences to the beloved event. This is the seventh year for the project, and participants will notice a few changes that have taken place since the event last fall. According to Sara Nesbitt, program coordinator and research assistant in the Center for Social Concerns, there are several reasons for the changes made to this year’s event. Nesbitt said that there has been a drastic decline in the number of refugees allowed into the United States due to the current administration. In the past, more than 40 families would come to Erie and find support through Baskets of Blessings, but this year, only a dozen families will be in need of the supplies. Nesbitt said that the reason for the lower number of families comes from the fact that refugee resettlement agencies only support these individuals for six months after their arrival. This is why only 12 groups on campus will be making donations that will fill the baskets that will be given to these families. This year, participants are asked to only donate school supplies if it is applicable to the family and warm clothing to help individuals get through the cold winter months. 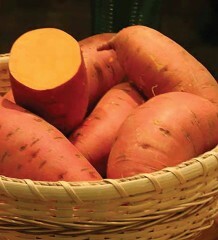 In the past, baskets would include various types of non-perishable food items. According to Nesbitt, this has been updated due to the changing needs of the refugee families that will receive support. Nesbitt said that non-perishable food items are not what these new families need because of the support they already receive from the Supplemental Nutrition Assistance Program. Nesbitt said that many of the refugees coming to Erie are from warmer climates, so warm clothing is more of a priority for these individuals. Many of the families also come from Bhutan, which also has a climate that differs slightly from Erie. “Bhutan has mountainous regions where it is fairly cold, but if the families are from those regions, we’re acclimating them to what they can expect to access here,” Nesbitt said. In the past years, baskets were delivered by the student organizations to the homes of the families who would be receiving the donations. According to Nesbitt, this would be changing this year due to a reduction in Catholic Charities Refugee Resettlement staff who used to help out during these deliveries. She said that the reduction in staff is linked to the overall decrease in refugees entering Erie. Nesbitt said that the decrease in staff means that there are not as many individuals who could help prepare the families for the visits because it would use staff resources that the organization simply does not have. However, students will still get the opportunity to meet with the families on Saturday at the St. Stanislaus Church. According to Nesbitt, this change will bring about more comfort for both the families and students. “This allows families to be in a familiar setting while preserving the privacy of their home, caseworkers and translators to facilitate the connection in real time and provides students a more comfortable setting so that they can hopefully have better connection and conversation with their families,” Nesbitt said. Nesbitt said that the changes that were made to the event were requested by the Catholic Charities Refugee Resettlement organization to create a better overall experience to the families. “We always strive to be a good partner to community members while keeping the needs of our students in mind,” Nesbitt said. In previous years, the Baskets of Blessings project was just a small portion of the overarching National Hunger and Homelessness Week. Gannon would participate in Hunger and Homelessness Week by hosting multiple events such as Soup with Substance and a dinner event. The national week of events is held to promote education, action and awareness regarding hunger and homelessness. According to Nesbitt, Gannon will be participating in a new way. 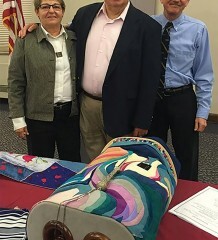 The Baskets of Blessings project will be the main way that Gannon will take part in the week of awareness. Nesbitt said Gannon will also participate more passively by posting information regarding Hunger and Homelessness Week on social media. She said that the Center for Social Concerns has decided to spend more of its energy on International Education Week, which falls on the same week as Hunger and Homelessness Week. Nesbitt said that the shift of the focus in the office has affected the participation in the hunger and homelessness week events.